College students find a home away from home in our congregation. They are welcomed into worship, ministry, and fellowship with care and love. 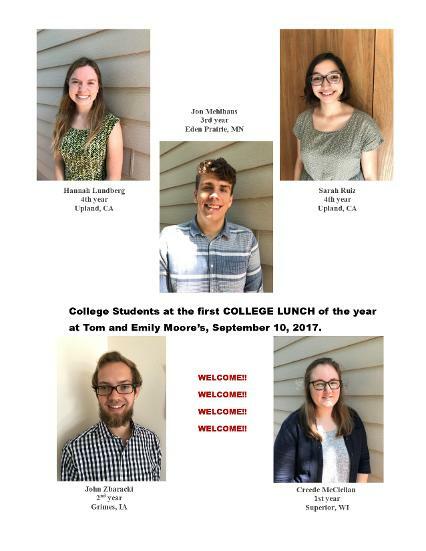 Every second Sunday of the month, students gather with faculty and staff from Grinnell College and other church friends for a home-cooked lunch. College students also regularly participate in worship leadership, including serving as liturgist, greeting, and ushering.